David Stone has been composing for classical ensembles and various forms of digital media for many years. David received his Bachelor of Music degree from the University of Toronto, where he studied composition and orchestration with Christos Hatzis, Chan Ka Nin, and the late John Hawkins. Artists who have commissioned and performed his works include the Toronto Mendelssohn Choir, the Gryphon Trio and the Penthelia Singers. They have been broadcast on CBC radio, and have been premiered in Canada, the United States and Europe. In addition, his works for television and multimedia have been heard across North America. 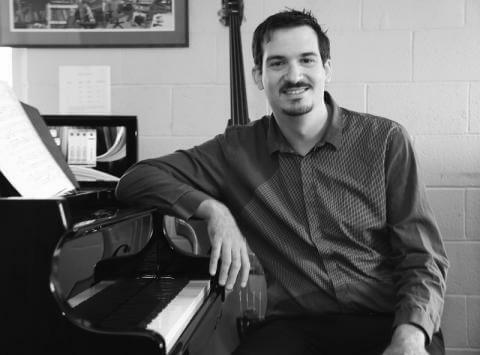 As a performer, David has been studying and performing double bass and piano for over 30 years. David has been teaching for over 20 years and is a vibrant, enthusiastic motivator for students of all ages. His belief of “Making Music Make Sense” was the founding principle for Midtown Music School. He lives in Toronto with his wife and two kids.